When I was a kid, Siskel and Ebert was one of the only venues for intelligent discourse on TV. In the time Roger Ebert and Gene Siskel reviewed a few movies during their program, they also talked about life, philosophy, race–pretty much everything at some point or another. After Gene Siskel’s death in 1999, Ebert, along with his wife Chaz, really worked at maintaining that tradition in a market that didn’t quite value ideas the way it used to. 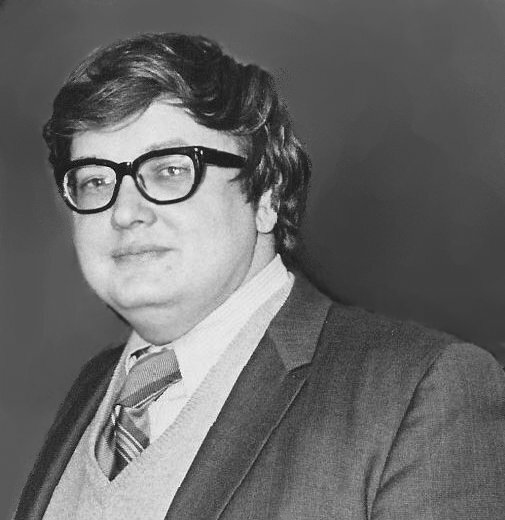 Movie reviews may have been the venue in which Ebert was most appreciated, but he thrived as a passionate communicator of ideas whether his words were spoken in his own voice or typed up for a page or for a screen. He may have lost his jaw, but for a number of years right up until his death yesterday, his thoughts were communicated as clearly and as vibrantly as ever. The world has lost quite a voice in that regard, and few writers will have a voice that echoes as much — and continues to, I hope. For the past few weeks, Ebert Presents At The Movies has been featuring some of the special episodes from Sneak Previews (back when the late, great Gene Siskel was across the aisle). I hadn’t been born when “Women in Danger” originally aired in 1980, and watching it now is like seeing some strange peak in thoughtful dialogue on TV. Living in the age of reality TV probably strengthens this impression more than a little, but I digress. In this episode, Siskel and Ebert discuss (what was then) the emerging trend of exploitative violence against women in horror movies. YOU KNOW WHEN I SAW THAT SCENE, I MUST ADMIT I WASN’T WORRYING AS MUCH ABOUT THE WOMAN, BUT I WAS THINKING ABOUT THAT KILLER AND HOW I WOULD HANDLE it. I APPRECIATE THE FACT THAT HALLOWEEN NOT ONLY (doesn’t) HATES WOMEN BUT IT LOVES FILM AND FILMMAKING. THE MUSIC IS FABULOUS, THE WAY HE STARTS ONE THEME AND KEEPING THE OTHER THEME REALLY GOOD. ALSO THE LIGHT COMING THROUGH THE SLATS IN THAT CLOSET. IT’S A FILM THAT’S UP. THAT SCENE IS UP AND YOU ARE JUMPING RATHER THAN GETTING DEPRESSED AND FEELING SORRY AND FEELING SORRY THAT YOU ARE WATCHING. ARTISTRY CAN REDEEM ANY SUBJECT MATTER. THAT’S WHY I HAVE BEEN OPPOSED TO CENSORSHIP. I DON’T BELIEVE IT SHOULD BE OFF BASE. WHAT DOES THE ARTIST DO WITH IT? HOW DOES HE PUT IT THROUGH HIS ART IN ORDER TO MAKE A STATEMENT ABOUT IT OR TO MAKE IT INTO A COMMERCIAL FILM OR A SERIOUS FILM. I BELIEVE IN THE CASE OF THE MOVIE LIKE HALLOWEEN, WE CAN ENGAGE IN THAT JOY OF FILMMAKING THAT YOU TALK ABOUT. THAT’S NOT THE CASE WITH THE OTHER FILMS THAT REALLY ADDRESS THEMSELVES TO THE LOWEST POSSIBLE COMMON DENOMINATOR. “Triumph” in material catering to the lowest possible common denominator is a strange thing. It was pretty soon after his appearance in Friday the 13th that people started rooting forJason Vorhees. The movies that featured him always had scenes of teens being stupid or promiscuous, and Jason would dispatch of just about all of them. And maybe the one or two most virtuous teens would temporarily stop him at the end. As a kid I tended to see most of the victims in horror movies as being nice enough. And I always found it pretty jarring that even when a protagonist was crafty enough to win, that the villain somehow scored a win, too, by only being temporarily stopped, or leaving such an overwhelmingly haunting psychological impression. All of that is what makes the creation of a character like Buffy Summers special. You have to admire the sensibility in which the “pretty, shallow girl” who goes down an alley is as inexplicably strong and dangerous as her tormentors are. And the encounters with the things she faces, in the long run, make her less shallow—not that being shallow, or simply naïve, ever made her the deserved fodder for monsters. Being aware of that makes triumphing a tiny bit more meaningful. Via Wikipedia; used for critical commentary.